In a move to counter Chinese transgressions along Arunachal border, Indo-Tibetan Border Police Force (ITBP) has been undergoing an expansion with 16 battalions to be inducted in the next four years. Recently, the government has begun the process of shifting the northeast headquarters of the force from Shillong to Itanagar, which will give a more focussed approach to ITBP in handling the border crisis situations in Arunachal Pradesh. Currently, more than 60 per cent of the ITBP troops are deployed in the border guarding duties along Indo-China border, most of which is inhospitable, due to heavy snow throughout the year. In order to facilitate the troop movement in these difficult terrains, and provide them logistical support, ITBP had undertaken several border infrastructure development programmes. Director general Krishna Chaudhary said that ITBP has established six new border outposts in Himachal Pradesh and Arunachal Pradesh last year. 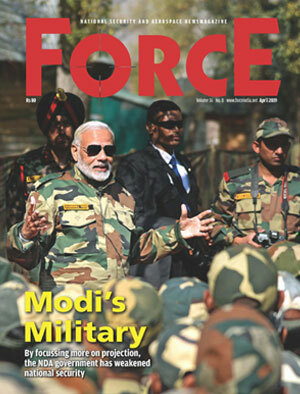 In eight posts in Uttarakhand, Himachal Pradesh and Arunachal Pradesh, they have augmented facilities and troops strength during the same period. Previously the home ministry has sanctioned 54 new border outposts (BOPs) to fill the gaps on the border of Arunachal Pradesh. Apart from the BOPs, the government has also sanctioned funds for 72 staging camps. Out of these, the ministry of defence has agreed on 40 border outposts and 12 manned staging camps. These staging camps will support the troops moving from one BOP to another with logistic supply, and could also double up as night camps whenever required. The proposals on the remaining border outposts will be taken up by the home ministry soon. The first eight battalions that are being raised will form the manpower for the 40 new BOPs that are coming up in Arunachal Pradesh. Apart from the frontier headquarters in Itanagar, two sector headquarters are also planned to come up soon to support these additional troops. The additional eight battalions will be a part of the ITBP centres in states that are planned to come up in states like like Gujarat, Maharashtra, West Bengal and Tripura. At present, ITBP mans 163 BOPs, and has a total strength of 60 battalions. ITBP is guarding the 3,488 kilometre long Indo-Tibetan border on great Himalayan Ranges from Karakoram pass to Jechap La. It is also engaged in internal security duties like anti-Naxal operations, security of vital installations, disaster management, rescue and relief operations. ITBP has also sent its troops for the UN peace keeping operations. Presently one ITBP contingent deployed in Bunia, Democratic Republic of Congo, has been providing assistance to UN in maintaining peace and tranquillity in the country. ITBP has also been providing security cover to Indian embassy at Kabul and Indian consulates Jalalabad, Kandahar, Mazar-e-Sharif and Herat in Afghanistan. The force also has a distinction of climbing national and international peaks including Mt Everest, Kanchenjunga and Nanda Devi. ITBP has climbed Mt Everest four times. In a record worth mentioning, ITBP personnel scaled more than 200 peaks so far. On 5 May 2016, ITBP’s mountaineering team had added another feather to their cap when they started an expedition to Mount Mukut. Kiren Rijiju, minister of state (home) and DG Krishna Chaudhary had flagged off the expedition in New Delhi. ITBP mountaineers are attempting the summit to Mount Mukut for the first time. Mt Mukut expedition team has been put through rigorous physical training and has been extensively trained on all technical aspects required to tackle difficulties while ascending through glacial fields, knife edge icy ridges, rocky spires on its way to higher altitude camps and summit. The team is equipped with latest snow and rock equipments.